Mike, Nancy and Stephen have been in Ashburton since 2010. 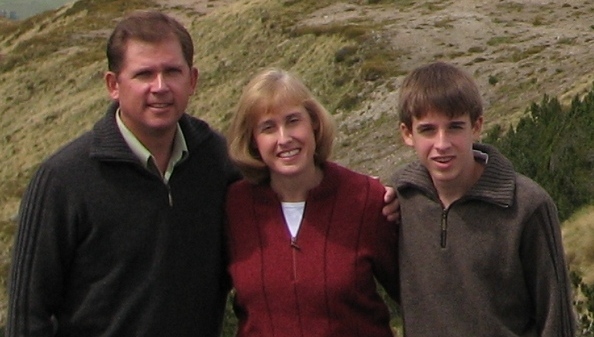 Born and raised in dairy farm country, the Canterbury plains was an easy choice when God called Mike to the ministry. A former Science and Math teacher with degrees in Education and Theology, Mike is excited to see how God will use his past experience to help him reach out to the people of the Ashburton District. As pastor, Mike serves the community through teaching, counseling, and other various opportunities that arise. Nancy and Stephen help in many ways as well. Their desire is to see people experience the victory that comes through Christ and the joy that comes from fellowship with a group of fellow believers.